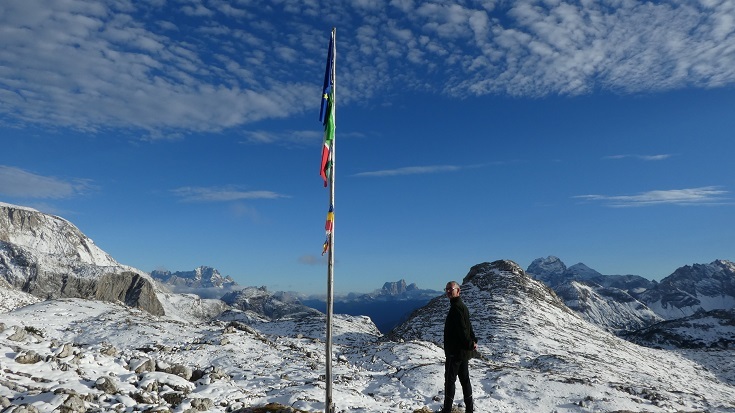 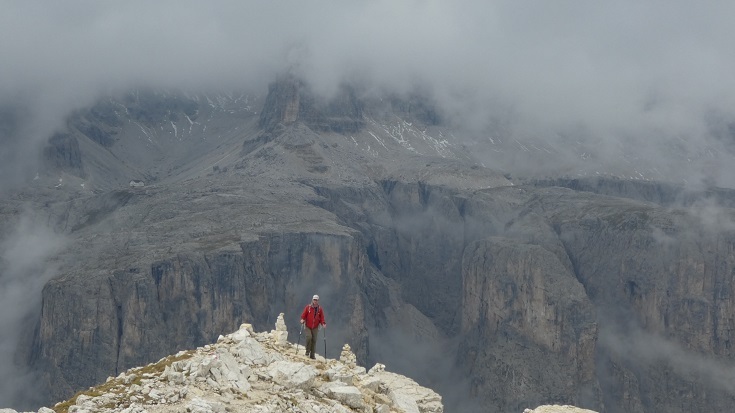 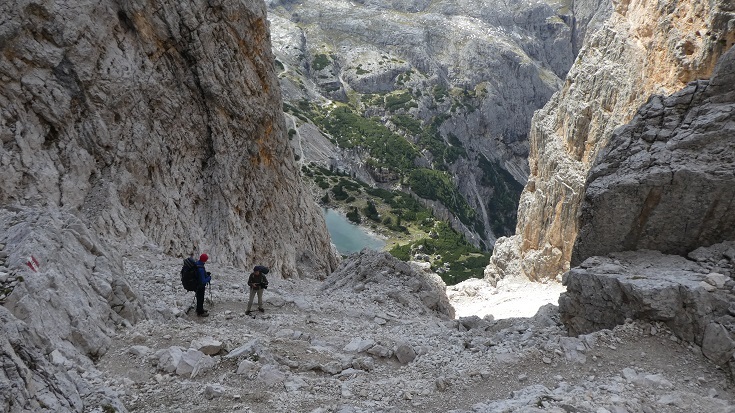 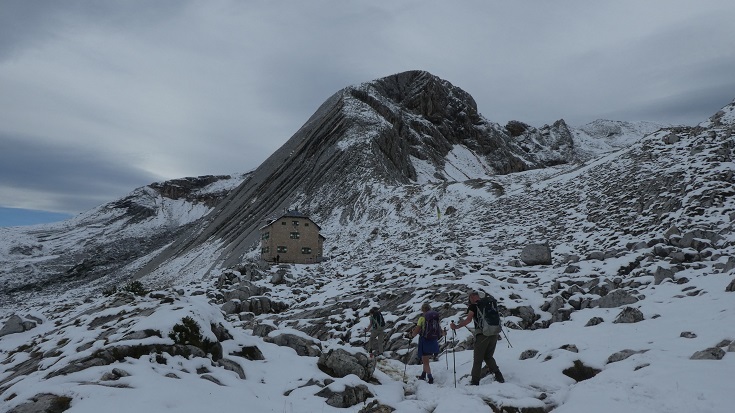 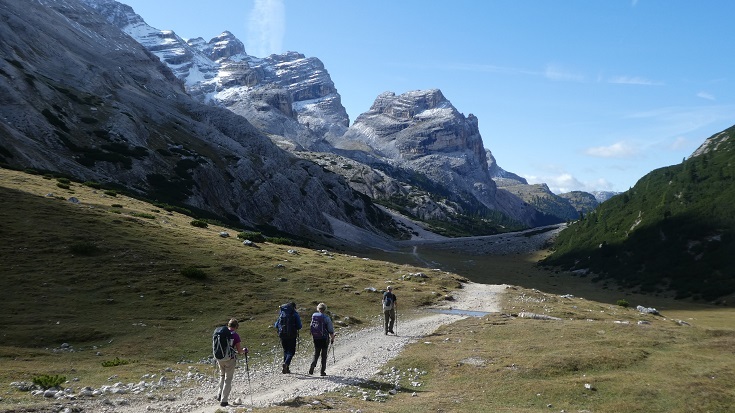 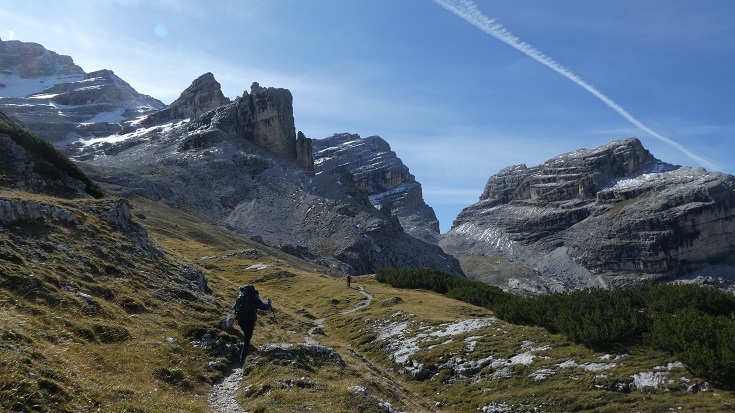 As a change to the more recent summer treks in the Alps and Pyrenees, a few of us ventured to the spectacular Dolomites for this year’s hut to hut. 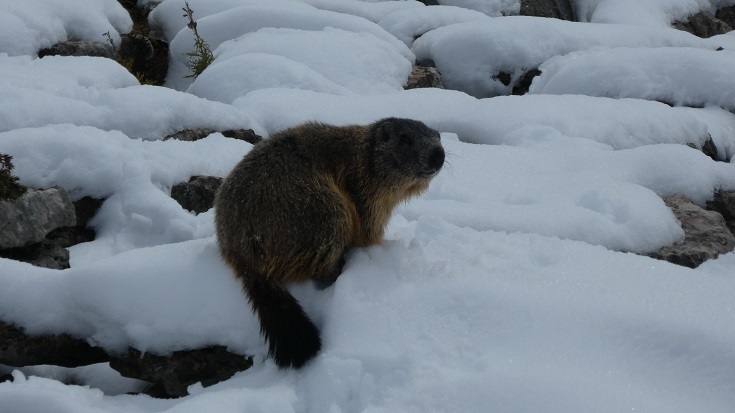 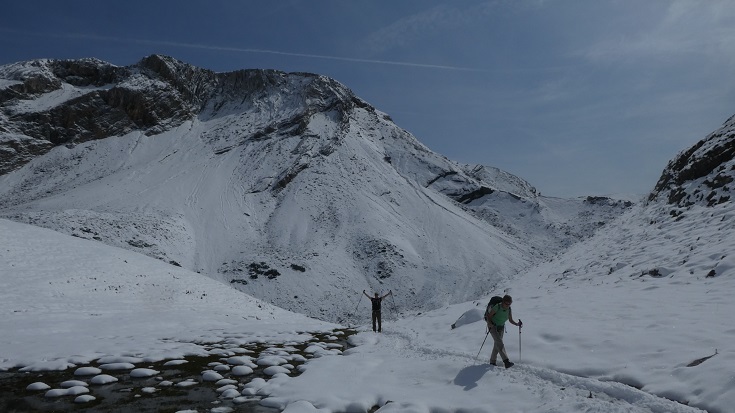 Winter appeared to arrive the same day as us (after, apparently, three glorious months of sunshine), but after seeing through the first few days of inclement weather, we were rewarded with excellent trekking and memorable views in snowy conditions. 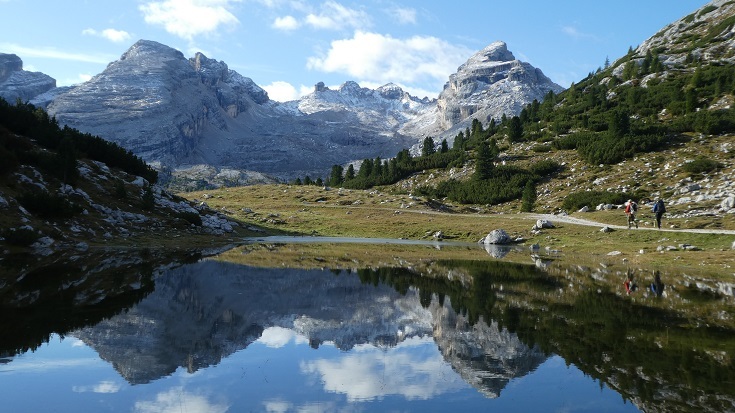 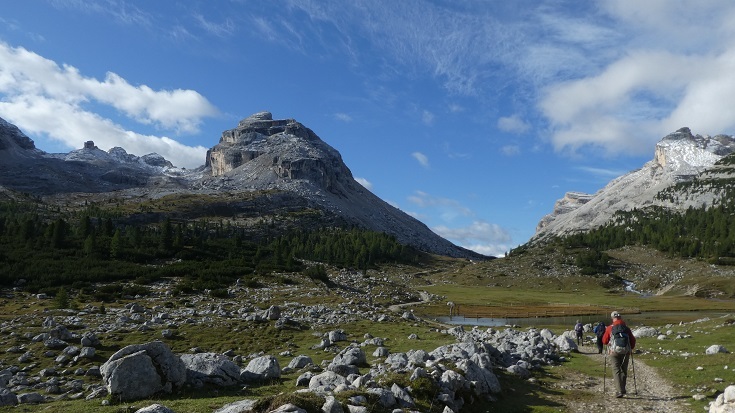 Our route took in part of the Alta Via 1, including Seekofel, LaVarella, Lagazuoi, Cingue Torri, and Croda da Lago (the refuge with a whole menu dedicated just for grappa). 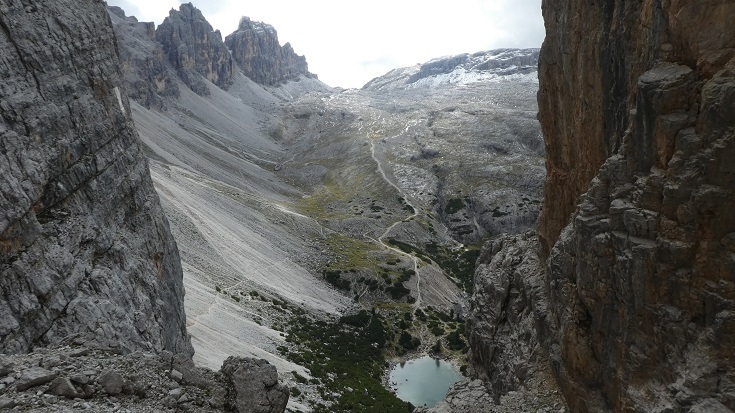 The refuges were top class, with menus to match (weight was gained on this trek) and some of the path constructions an amazing feat of engineering, taking us through rock faces which just didn’t seem possible without a rope. 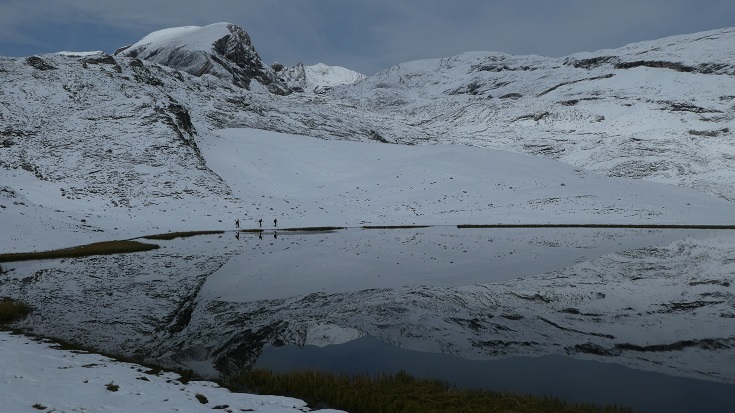 We’ll certainly be returning for more trekking in this amazing area.